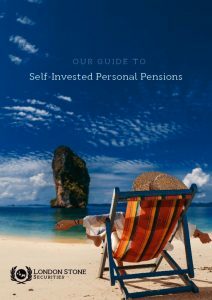 A SIPP is a Self Investment Pension Plan and it is a vehicle used for investors to house their funds, which can be later used in their retirement. There are significant tax advantages to investing in a SIPP over a standard nominee account or stock ISA, but there is also more administration and costs. SIPPs do attract an annual management charge which is set by the SIPP provider, but the tax savings that users receive still make it worthwhile. The world of pensions can be complicated, which is why we advise that you speak to your own financial advisor to see whether a SIPP is suitable to you. If you already have a SIPP, it can be transferred very easily to London Stone for management purposes. We do not charge any fees ourselves in terms of annual management charges and simply pass on any charges at cost. London Stone currently deals with more than 50 approved SIPP providers. Therefore, chances are we are already dealing with your existing SIPP provider which means that transferring your portfolio across is easy and cost-effective to do. Even if your existing SIPP provider is not on our approved list, you can still do business with us. As a firm we cannot advise on pensions directly but do we have specialist tax and pension advisors, who work independently of London Stone, that we can recommend to you if you need advice and don’t have an Independent Financial Advisor (IFA).